October 7, 2016 – GroundWidgets and Limo Alliance have entered into a definitive agreement to merge, and combine resources to accelerate development of a global cloud based platform for the chauffeured transportation industry. The combined resources of both companies creates the largest back office software platform and technology services company, offering a broad portfolio of products and services to ground transportation operators of all sizes. The GroundAlliance™ platform is a symphony of real time cloud based applications and integrated mobile apps for operational efficiency and seamless communications between customers, chauffeurs and worldwide affiliates. With the introduction of GroundAlliance™, GroundWidgets will soon be able to offer functionally rich back office software solutions to operators of all sizes with option for onsite installation or a subscription based cloud platform. 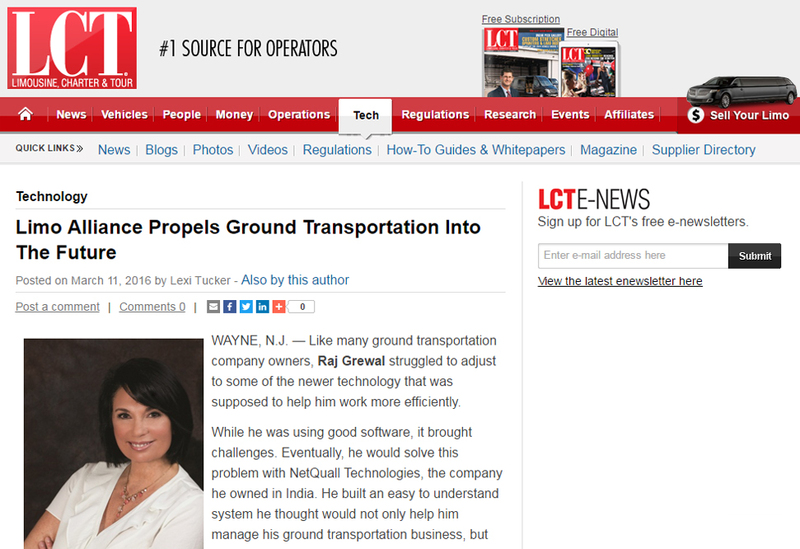 “Joining forces with Limo Alliance was a logical and strategic decision for GroundWidgets and its ongoing evolution. 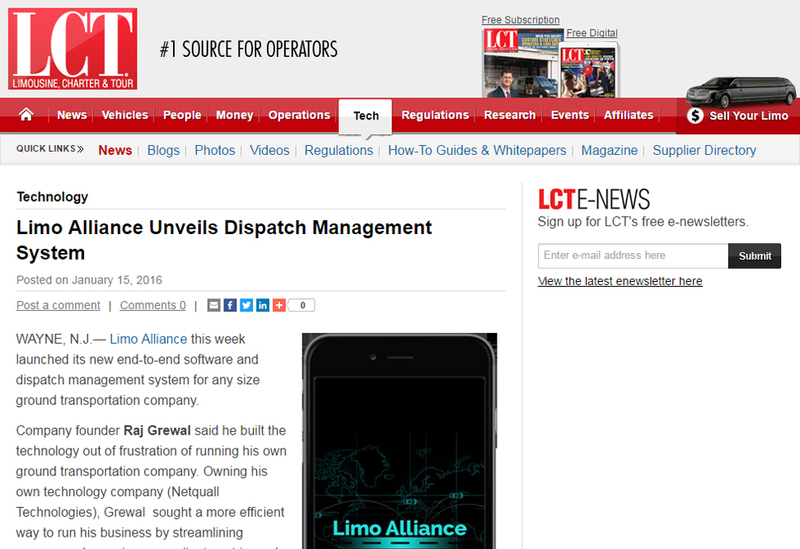 Our team has been working with Limo Alliance for the past six months and we are impressed with the innovative and next generation of products they are developing to accelerate automation for the limousine industry. GroundWidgets has always focused on delivering great products to its customer base and combining forces with Limo Alliance enables us to expand our portfolio of products as well as add resources for development and support” says Apurva Patel, Founder and CEO of GroundWidgets. “Instead of recreating the wheel with duplicative development, the combined company with over 90 employees, will focus on making GroundAlliance a functionally rich cloud based solution for small and medium operators, drawing upon the 30+ years’ experience of the GroundWidgets team and speeding up development time to offer products faster to our customers”, says Patel. GroundWidgets and Limo Alliance will begin integrating their operations and software products in coming months to offer operational excellence and efficiency never before envisioned in the ground transportation industry within a suite of comprehensive and easy to use applications that seamlessly work together with a global reach. Joining forces enables Limo Alliance and GroundWidgets to combine resources and focus on the next generation of software that streamlines workflow management, develop innovative products at the right price and allow ground transportation companies to achieve higher levels of customer satisfaction and improve profit margins.